Mt. 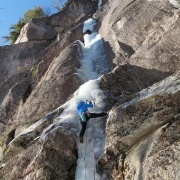 Washington Ice Fest guide, Andrea Charest hiking the first pitch of Repentance on a beautiful sunny day. 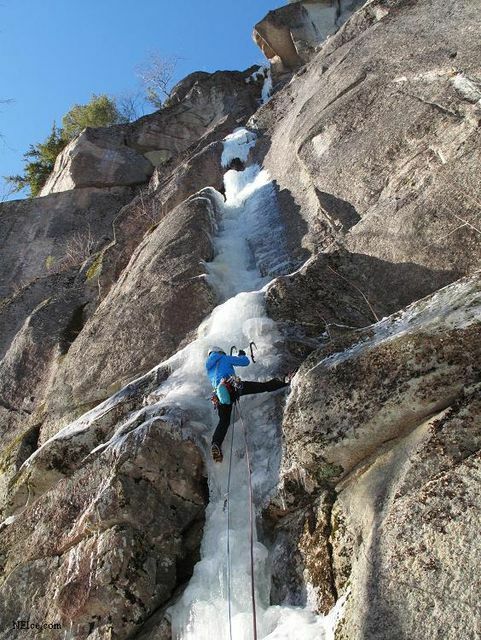 Andrea shared the climb with Rockytop who was celebrating his birthday. I Can’t think of a better way to spend the day! We hope you have many more.